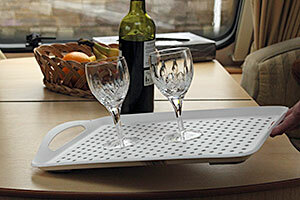 The NEW StayPut stylish anti slip trays are designed to keep glasses, cutlery and plates in place during the journey from kitchen to table. 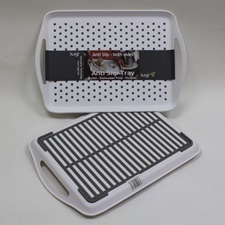 The lightweight modern design has a distinctive high grip surface crafted with anti-slip TPE studs that are moulded through the base of the tray giving an anti-slip reverse to the tray. 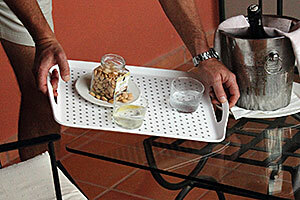 The smart matt finish is durable and with deep sides and carry handles, make it easy to carry or use as an anti-slip lap tray.